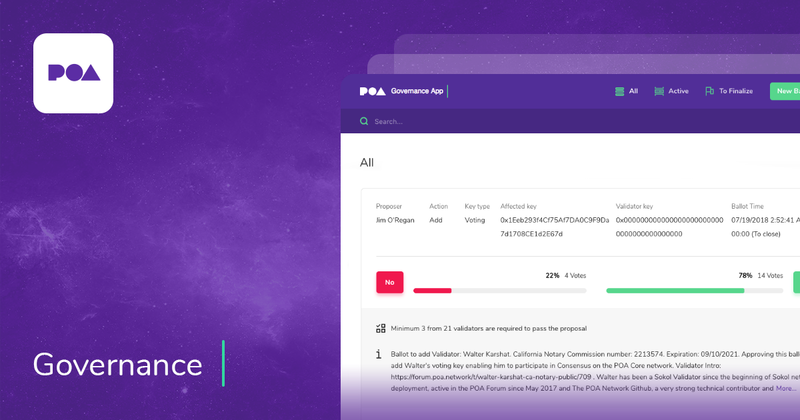 The Voting DApp allows validators to propose and vote on network changes. Ballots can be created to add or remove validators, swap validator keys, and manage consensus mechanisms on the network. This DApp supports self management and on-chain governance.